The newly launched TripAdvisor customer support helpline has received mixed reports from hospitality operators. Set up following widespread criticism from hotel and restaurant owners regarding the difficulty they have contacting the online review site in the event of an unfair, malicious or fake review, the helpline is intended to provide a service for all customers, both operators and members of the public. However, some hoteliers and restaurateurs said that the helpline seemed to be merely a means of directing complaints to the website. Mike Bealing, director of the Red House hotel in Parkhouse Cross, Wiltshire, hoped that talking directly to TripAdvisor would result in reviews written more than six years ago, prior to a refurbishment, being removed from the website. However, he was told that although users of the site could be misled by the dated reviews, they could be removed only if evidence of the refurbishment was provided by e-mailing five documents to TripAdvisor. These included a published on-line press release announcing the refurbishment, a signed and authorised work permit from the local council, a signed and authorised copy of the council's planning permission, trade invoices for the works carried out, and before and after photographs. 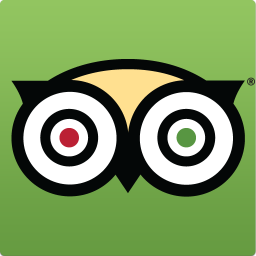 "I'm not surprised by these requests; it is what we have come to expect from TripAdvisor," said Bealing. "I just hope the Advertising Standards Authority investigation finds that TripAdvisor is misleading the public by publishing such out-of-date information about my business." Meanwhile, Mike Pemberton, who runs the Café at Brovey Lair, Ovington, Norfolk, had hoped to get help in having a review which he describes as "not only venomous but contains inaccuracies and lies" removed from TripAdvisor. "When I rang, I was told to send my complaint in an e-mail, which suggests there is little or no human involvement and reviews are automatically posted by computer, with TripAdvisor failing to check their authenticity," he said. But it was a more positive experience for Philip Milton, owner of Trimstone Manor country house hotel near Woolacombe, Devon. Milton has tried to get the geographical listing of the hotel changed on at least 10 occasions via e-mail. The name of the nearby town is currently not included, making it difficult for potential guests to find the property. "[The member of the helpline team] took all the relevant information and promised to relay it to the listings department, and to e-mail me back with a response. I told him he'd passed the test, but I'll wait to hear from him later." Emma Shaw, spokesperson for TripAdvisor, said overall hoteliers were feeling that they were receiving the customer support they were in need of, with the helpline providing them with the information they needed to make the online tools for complaints work. "Some of the more in-depth queries need to be passed on to our specialist teams, but the customer service team is able to do this on behalf of callers to ensure that their query gets to the right place," she said. Shaw explained that the helpline had teams in the UK and the USA, with staff in London answering phone calls between 9am and 6pm. If demand is high, calls will be diverted to the USA, as are all calls outside of UK working hours. The TripAdvisor customer support line can be reached on 0800 0988460.